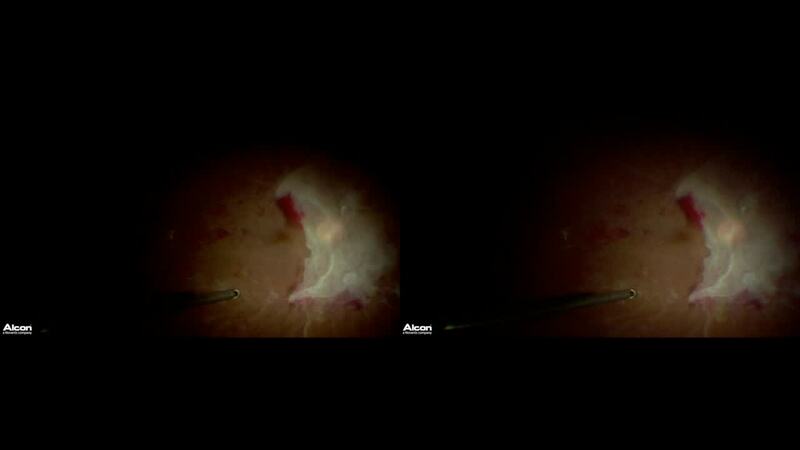 The video shows how to perform the single-layered internal limiting membrane (ILM) flap surgery for macular hole retinal detachment in a highly myopic eye. Using the heavy liquid of perfluoro-n-octane is the key to stabilize the ILM flap at the position during fluid-air exchange. Silicone oil tamponade is recommended to prevent displacement of the flap. No financial disclosures present regarding the content of this video. Presented by Ji Eun Lee, MD, PhD. PPV: ILM Peeling or No Peeling?